Easy-to-use and extremely sensitive for early detection of Alcohol. 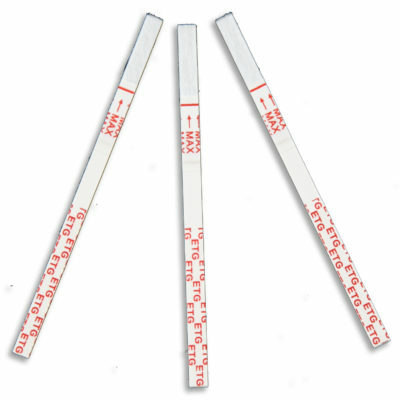 Our Alcohol Test Strips offer a convenient and facile method to determine the presence of alcohol in your system. Our alcohol test strips are exceptionally sensitive and can easily detect even the small amounts of alcohol through human urine. The lower and accurate threshold levels help in dissuading any false positive that might occur due to incidental alcohol consumption from syrups, mouthwash or certain hygiene products. 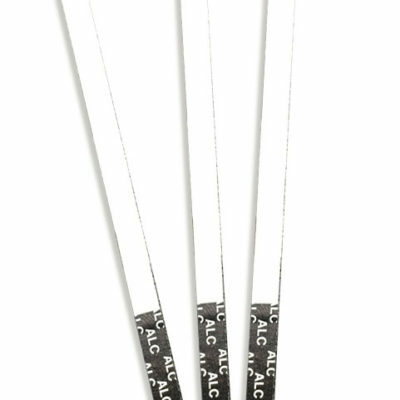 Our Alcohol Strips provide swift results in just three minutes. This test is ideal to be used in home drug testing, probation alcohol test, workplace drug testing. Our Alcohol Test Strips are a cost-effective solution which is available for a mere price of $1 per strip. Buy in bulk and you can save more on our Alcohol Test Strips! How To Use Alcohol Test Strips? Remove the Alcohol dip Test from the seal pouch or remove the canister. Use the strips immediately. We advise you to use them within 1 hour for best results. Hold the strip vertically in urine specimen for about 10-15 seconds. Always hold the trip from the end and avoid touching the strip membrane to deter any contamination. After the test has stopped running, lay the strip on a non absorbent flat surface. Begin the timer immediately and wait for the color band(s) to appear. Read the results at 5 minutes. Do not wait for more than 10 minutes to read the results. How To Read The Results? Positive: If a single band appears in the control region(c), the test indicates a positive and presence of alcohol in the system. Negative: If two colored bands appear on the membrane- one in the control region(c) and other in the test region(t), the test indicates a negative. Invalid: If colored band fails to appear at the control region, the test must be discarded. Read the instructions carefully, and begin with a new test. If the problem persists, quit using the test and contact your local distributor immediately.